Today and more than ever, businesses are feeling the strain of trying to stay on top of things despite growing pressure from competition, information overload, rapid technology changes and demands on their time and resources. To remain competitive in the Digital Age, your business needs a digital presence, but more importantly, you need a digital presence that will help you get better results online without adding more chaos and unmanageability. Many businesses end up with a web presence that quickly becomes unmanageable not because of poor web design or lack of content organization and structure but because the business itself lacks digital planning and education. In this guide, we explain what it takes to stay on top of your digital business presence and show you how to keep your website and web content manageable and organized. Most of us struggle to stay on top of things. The more we try to keep things organized and manageable, the harder it seems chaos wants to fight back. Keeping your business organized and manageable is difficult if you lack planning and systems. The same thing applies to the digital aspects of your business. Web pages with outdated information. Content not being regularly published. Neglected web management and maintenance tasks. Increased vulnerability and exposure to security risks. Missed opportunities to market and promote your business. Missed opportunities to get found online. Creates a better user experience for visitors and allows site users to find what they are looking for faster and more easily. 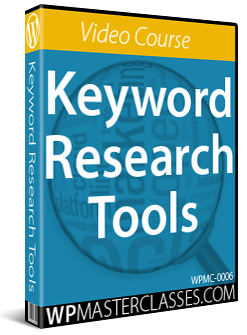 Helps search engines like Google to better understand what your site is all about and to index your site and pages faster and more accurately. Allows you to stay ahead of online competitors who cannot manage their web presence. Allows you to grow an effective digital presence that will help your business get better results like more traffic, leads, sales conversions, etc. Getting a website built for your business is the easy part … you can build your own website or get someone else to build it for you. The difficult part is keeping your web presence manageable and organized so it can work for you effectively and deliver your business better results. We’ve posted previously about the need to create order before progress. No business can progress online until some form of order has been established. Let’s explore each of these layers in more detail. As mentioned earlier, many businesses end up with a web presence that quickly becomes unmanageable not because of poor web design or lack of content organization and structure but because the business itself lacks digital planning and education. Digital business planning comes before website planning. It asks questions about the capabilities of your business to manage and grow a digital presence. Most businesses lack time and resources and operate under considerable financial strain. They want immediate results to meet their needs and objectives in the short-term. The reality, however, is that creating consistent results online requires strategic planning and the implementation of great systems and processes. A sound strategic digital plan has a direct impact on your website but it’s not all about your website. It also needs to takes the short-term needs and long-term growth of your business into account. Digital Planning, then, is the first step toward creating a manageable digital presence and begins with formulating a clear digital vision for your business and developing strategies for setting and achieving the overall goals and objectives your business has set. A Digital Systems Plan specifying the systems you will need to implement manage, measure, and improve your results online. A Digital Organization Plan defining the kind of team you will need to assemble to help you run and manage your digital presence. A Digital Vehicle Plan defining the type of digital vehicle(s) you will need to build to realize your digital strategy. A Digital Management Plan outlining how you are going to manage your digital assets and processes (including outsourcing). A Digital Marketing Plan outlining how you are going to promote your business online, who your target audience is, etc. A Digital Content Plan that will help you define what type of information you will publish to reach your target audience and how you will create and deliver this information. ‘The Small Business Digital Manager’ looks at why most small businesses end up with an unmanageable web presence almost as soon as they take their business online and why this leads to poor results, and shows you how to be in control of your digital business processes and get better results online using a systematic and doable approach. 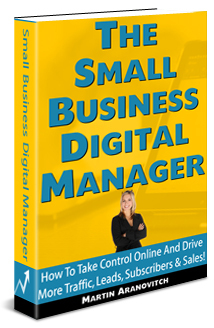 In addition to the book, we have also developed a comprehensive online course that will help you implement a practical and effective digital plan for your business. As stated in the previous section, planning your digital business presence should be done before planning your website. Your digital plan will not only help you understand how you will be able to manage and grow your business online, it will also help you plan the type of web presence you will need to build in order to achieve your goals and realize your digital vision. This involves not only planning the aesthetic components (i.e. web design, page layout, color scheme, etc.) and functional elements of your website (i.e. technical features), but also its structural form (pages, content, site navigation, etc.) taking into account how all of this will affect things like usability, user experience, SEO, etc. This type of website planning doesn’t focus on how your website will look or what it will do, but on how you will manage it. A support helpdesk to handle customer issues and provide answers to commonly asked questions. You could get a web developer to help you plan and build a web presence that integrates all of the above features and functionality, but they probably won’t help you with the planning involved in figuring out how you are going to manage all of the work involved in running and maintaining the above. To figure out how you are going to manage all of the above, you will need to have a clear understanding of your business resources and capabilities, which is a function of the digital planning process and not the website planning process. Hopefully, you will get this done first before spending time or money getting your website built to avoid having an unmanageable web presence. Website management planning also involves planning the integration and management of external services and features in your web presence. For example, let’s say that in addition to all of the features discussed above, you also want to be able to monetize your website presence by allowing other businesses to advertise on your site or list services on a directory and that you plan to add various affiliate links throughout your web content. A link tracking and management system. For all of the above reasons, when planning your website we recommend working alongside the specifications of your digital business plan. Planning your digital presence and website is important. Even if you already have a website, we recommend checking out the above links and resources, as these provide essential information that will help you avoid making costly mistakes. Let’s now turn our attention to a digital system that will allow you to build and run an effective and manageable web presence … all at minimal cost and without technical skills required! For just one moment, try to picture what it would be like to have access to a tool that lets you easily build anything online you want for whatever purpose you need. Imagine too, that you can also add any function you like whenever you want and even turn this into something completely different, all with just a few clicks of the mouse, no coding skills or technical expertise, with minimal cost and without having to start from scratch every time you want to change or add things. 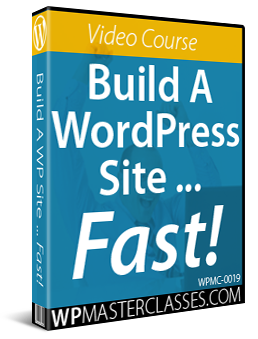 WordPress is a powerful, flexible, and easy-to-use free software application that lets you build any type of website you like for any purpose you want, for commercial or personal use. You can start with a simple and basic website and add more functionality only when and as you need. 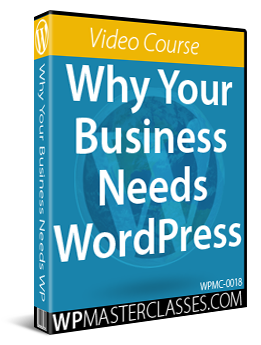 We provide hundreds of detailed step-by-step tutorials devoted to helping you understand all the benefits and advantages of using WordPress to power your website or blog. If you’ve never heard of WordPress before, we recommend starting with our Introduction To WordPress tutorials. If you know a little bit about WordPress already, the rest of this guide is going to help you understand WordPress from a different perspective. We’ll begin by exploring some of the features of WordPress that will make your web presence manageable and allow you to grow your business online in an organized manner. Posts and pages are the main ‘containers’ in WordPress that hold all of the content you want to display on your website. Once your WordPress website has been installed and configured, almost all of the work you will do will involve using WordPress posts and pages. Depending on the type of website you plan to build, modified versions of posts or pages called Custom Post Types may also be used. For example, if you plan to sell products or services online, you would probably choose an e-Commerce theme for your website with posts that have been modified to display product or service information to potential buyers. Other custom post types used to display specific information in WordPress websites include testimonials, portfolio pages, real estate property listings, directory pages, forum pages, etc. Some WordPress Themes also allow you to choose different post formats (e.g. videos, images, quotes, links, etc.) when creating a post to display specific types of content. 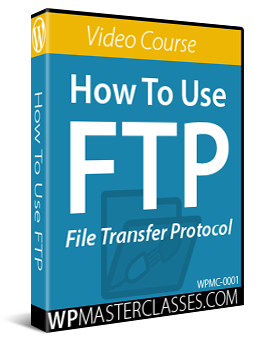 WordPress posts, pages and custom post types and formats not only help keep your website manageable, they also include features and functions that allow you to keep your information and data organized as well. WordPress also provides features called ‘widgets‘ that let you organize information for users and visitors and display these on your site in areas like the sidebar, footer, and header sections. Widgets lets you group, organize, and display information on your site, like a menu of specific pages, or a list of recent or archived posts, links, content categories, tag clouds, etc. Your web content is contained inside your posts and pages, which are contained inside your WordPress website. If systems and processes bring order and manageability to your business, then think of WordPress as a digital ‘system of systems’ for bringing order and manageability to your web presence. Many of these digital systems are built into WordPress itself in the form of features and core functionality, and other systems can be configured and seamlessly integrated with the WordPress platform to add new features and functionality, such as WordPress Themes and WordPress Plugins. Let’s take a deeper look, now, at the three basic levels of WordPress described above and drill down into the other subsystems that exist within these. 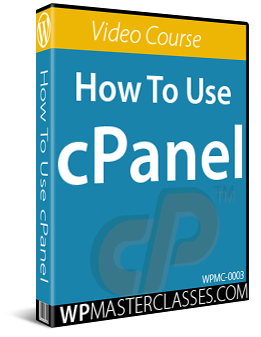 WordPress is, in fact, the world’s leading CMS application. The WordPress CMS provides an invaluable system for keeping your website manageable and your web content organized. The WordPress CMS not only lets you easily manage your website and keep all of your content organized, it also stores all of your website data inside a database on your server, which allows you to easily backup and restore your data and perform tasks like global search and replace and other maintenance and upgrade tasks. 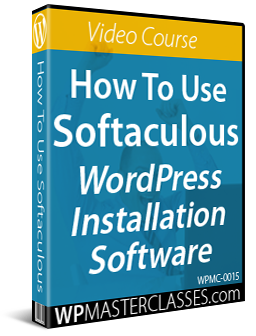 Knowing how to expertly configure WordPress settings after the installation process is one of the keys to creating and running an organized and manageable website. Many aspects of marketing and managing your web presence with WordPress can also be automated simply by choosing a good web hosting environment, knowing how to configure various core and plugin settings, such as traffic generation, SEO, and backups, and integrating these with external services to access statistical reports, social metrics, and more. Permalinks let you create search engine friendly URLs and help keep your content organized for search engines and visitors. WordPress provides various tools that allow you to add content to your site while browsing the web, transfer content from one WordPress site to another using export and import features, and more. WordPress lets you assign different roles and capabilities to users (e.g. Author, Editor, Administrators). This not only helps you to better manage your web presence, it also prevents other users from turning your site into a disorganized mess. For example, if you assign users the role of ‘contributors’ or ‘authors,’ they can add to and help grow your site’s content, but they cannot edit or change the parameters that help keep your content organized, only ‘editors’ and ‘administrators’ can do this. Many website building applications nowadays use web templates to speed up the web development process. WordPress takes this concept much further through the use of Themes. Themes provide an effective and efficient system for organizing your site’s web design and the layout of its pages and web elements. The basic concept behind using WordPress themes is that you can completely change (i.e. ‘morph’) the ‘look and feel’ of your entire website with just a couple of mouse clicks without affecting any of the underlying functionality or content that you have already set up for your site. Another powerful type of organizational system for your WordPress website are WordPress Plugins. 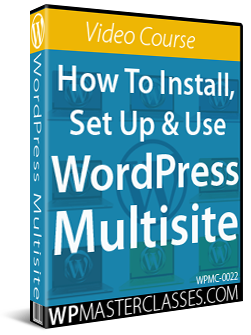 Plugins are like ‘modular addons’ that plug into your website and instantly add all sorts of functionality to your web presence with just a few mouse clicks. Many plugins work right out of the box and some require configuring additional settings. The basic concept behind using WordPress plugins is that you can start with a very simple WordPress installation and instantly enhance and expand your site to do just about anything you can imagine very inexpensively and without touching your site’s underlying code just by installing a plugin. Plugins, therefore, not only add additional functionality to your site, they can also integrate complete ‘management’ systems and many of these will also automate most of the processes involved. For example, earlier we talked about integrating various management functions within your website. 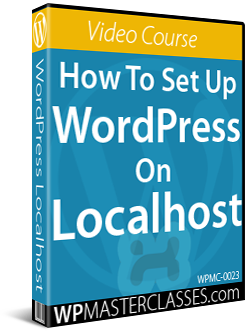 With WordPress, this can all be done using inexpensive plugins that are simple to install and easy to configure and use. 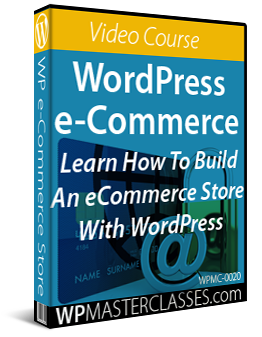 So, to add a complete e-commerce management system to your website, just install a WordPress e-commerce management plugin. Want an affiliate management system to go with your e-commerce site? Then add an affiliate management plugin. How about a private membership area where your customers can download information not available to regular visitors? Just add a membership management plugin. You can also add WordPress plugins for managing advertising banners on your site, keeping your website legally compliant, managing online courses and event registrations, running customer support helpdesks and training, running directories, tracking and managing content links on your website and adding loads of other functionality and enhancements. The better you can organize how visitors and search engines find content on your website, the better the user experience and search engine rankings, which can translate to more traffic and more profits. WordPress provides a number of management systems for keeping your site’s navigation organized. These include using custom menus, widgets, breadcrumbs, and adding both visitor site maps and search engine sitemaps to your website. As mentioned earlier, WordPress posts and pages are the main form of ‘containers’ used to provide information to your website’s users and visitors. Every post and page you create has a unique ID. This lets you perform a number of management functions, such as grouping and displaying certain posts or pages by ID, filtering out posts or pages from menus, etc. Posts and pages can be organized and sorted by their status (e.g. Published, Draft, Private, etc.). Post categories are a powerful management system for keeping your posts organized by related topics on your website. They also provide benefits for site visitors (easier navigation) and search engines (better indexing). Like post categories, tags provide a system for managing and organizing content on your site at a more granular level. Earlier, we discussed how WordPress allows you to assign different roles and responsibilities to users, giving them access or restricting access to various management features and capabilities on your website. WordPress also allows you to have multiple authors for your posts. This not only provides certain benefits in terms of being able to search, sort, filter, export, and organize content on your site via post authors, it also adds a collaborative dimension to how content is managed and created in your digital presence. WordPress posts and pages include many additional settings that let you administer, manage and organize content and information on your website. These include built-in WordPress functions such as scheduling posts and pages, post excerpts, comments, featured images, and post revisions, as well as functions that can be added using plugins, such as SEO features, social sharing, custom fields, and more. The last level we need to explore is how to keep your web content organized and manageable. So far, we have seen that if you create and follow a strategic digital plan for your business, plan your website with attention to important details like how you will manage things, and learn all you can about all of the WordPress features that allow you to easily manage, organize your digital presence and automate your marketing, then all you should be left with is planning, creating and publishing content. WordPress provides many features inside your Posts and Pages that allow you to work efficiently and in an organized manner to create and publish content quickly and easily. This includes separate fields for adding and editing post titles and content, word counters, a visual content editor that lets you easily create, paste, or format text and insert media into your content such as videos, audios, images, and image galleries, built-in features that let you add hyperlinks to internal content or external sites, eliminate distractions while writing, and perform various functions within your content editor, and the ability to perform additional tasks depending on what plugins you have installed (e.g. adding tables or adding scripts and codes to your content using shortcodes). WordPress even lets you organize and present content that you have published in different areas of your site inside a new post or page. Now … what if you want to display a directory or a list of all of your content on a separate page or post? For more details, see our tutorial on using post categories to improve WordPress SEO, user navigation, and content layout. As you can see, with WordPress you can have a manageable website and organize your web content at a macro and granular level. Many businesses develop an unmanageable web presence because they do not start by creating a strategic plan to manage their digital business effectively and don’t implement systems that will allow them to get better results online in an organized and manageable way. WordPress is more than just a web platform. It is a digital ‘system of systems’ with many powerful features that allow you to have a manageable website, organize your content at a macro and granular level, and help you manage your web presence effectively at minimal cost and without requiring coding skills. Educate yourself as much as you can about the benefits of using WordPress to plan, build, manage, grow, and automate your digital business. 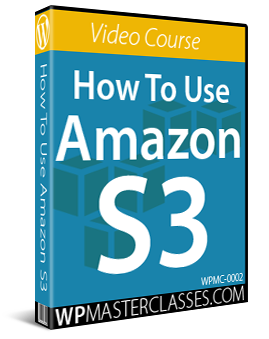 To help you do this, we provide hundreds of detailed WordPress step-by-step tutorials for FREE covering all aspects of WordPress. We hope that you have found this guide on how to keep your website and web content manageable and organized useful.